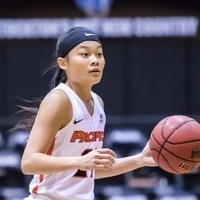 Pacific women's basketball plays in its first exhibition of the 2018-19 season on Friday at the Alex G. Spanos Center when Pacific hosts San Francisco State. The game operates as Pacific's only opportunity to warm up in a live game atmosphere ahead of Pacific's first regular-season match against William Jessup Thursday. The Tigers went 15-17 and 7-11 in the WCC. The Tigers got hot at the WCC Championships and ran to the semi-finals, the deepest run that the team has made since the 2013-14 season. The Gators went 5-20 last year and fell in their only exhibition against a Division I program 74-39 against Santa Clara. All-time in competitive games, the Tigers are 4-1 against the Gators. S.F. State won the last official game against the Tigers 65-60, in 2007.